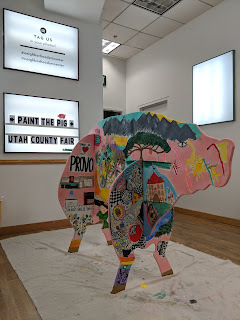 To help in promoting the Utah County Fair, each city in Utah County was given a wooden pig to decorate. The Neighborhood Art Center took on the task of decorating Provo City's pig using the theme "things we love about Provo." The result is magnificent and you will soon find yourself drawn in and identifying many iconic Provo scenes. 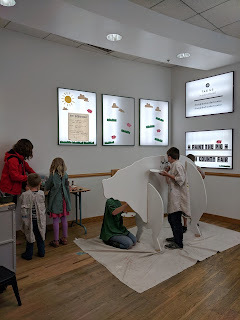 We will be moving the Provo Pig around to different locations this summer. Follow the City Council's Twitter account to see where you can find him. 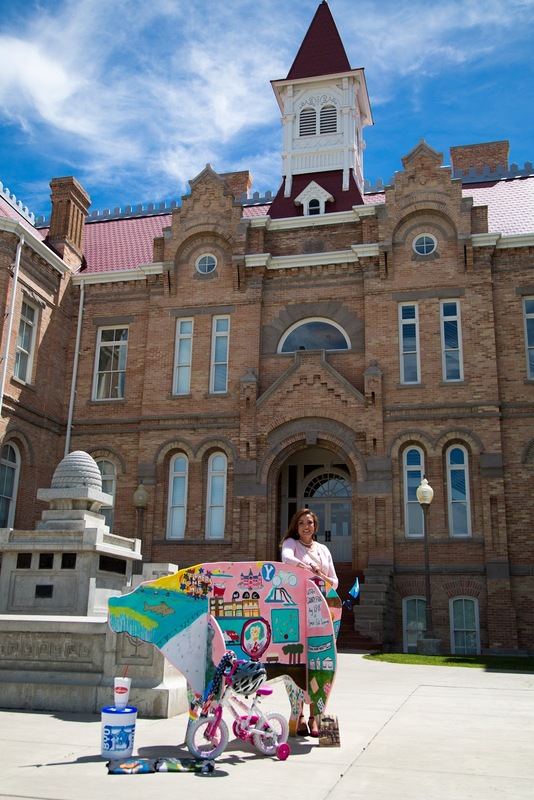 Let us know what you love about Provo or your favorite artwork on this colorful guy. Please take pictures and share them on social media with these hashtags: #ProvoPig #FairFever. 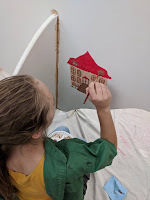 We will also be posting more photos on Facebook.